Brand is often defined as a “Name, term, design, symbol, or any other feature that identifies one seller’s good or service as distinct from those of other sellers.” (Source: Wikipedia). But we believe brand is more than that. More than a logo, a brand lives and evolves in the minds and hearts of potential clients. It’s a fostered set of emotions and ideas consumers associate with your company. With the infinite number of choices offered to consumers these days, many companies are looking for unique ways to connect emotionally with consumers. This is a revised new edition of one of the best selling brand guide. 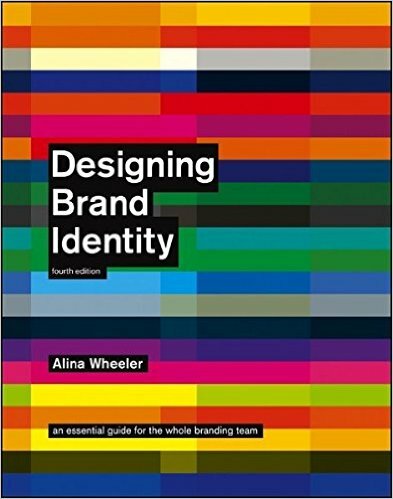 It will walk you through how to create, build and maintain a strong brand. A brand is a person’s gut feeling about a product, service, or company. When developing a brand, we look to create a strong brand that stands out in the marketplace and positions the company as an irreplaceable life-long partner to their clients. Remember that consumers love and trust brands; they believe in the inherent superiority of the experience so much, that even in a negative economy 60% are often or always willing to pay more for it. Creating an identity that resonates with your clients reinforces the emotional relationship that is at the heart of a truly successful brand. When marketing decisions are made for a particular brand, it’s important to examine the factors associated and consistently craft messaging that supports and enhances this emotional relationship. In addition to this external benefit, building a strong brand offers internal benefits. It’s no secret that it’s easier to sell a brand that you believe in yourself. This is why successful organizations spend time and effort “selling” their brand internally. This notion supports the marketing department’s ongoing effort for consistency in presentation and contributes to the overall strength of the brand. Your brand, therefore, becomes the foundation for all your marketing pieces. Every aspect, from a website, to corporate identity, to video production and photography, is defined by your brand. With each touch point being an opportunity to increase brand awareness and improve customer loyalty, marketing departments today know and appreciate the importance of building a strong brand. …and remember, your brand is not what you say it is, it’s what THEY say it is. Is Your Company’s Website Ready for 129.7 Million Mobile Visitors?